$369,900 Detached Home for Great Price! "Close to HWY 417 Exit!" 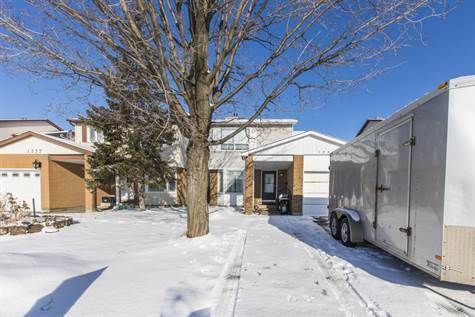 Detached 3 Bedroom home on a 150’ FT LOT in Pineview, located across from Cedarcroft Park! NO REAR NEIGHBOURS, Fully Fenced Lot w/Interlock, Long & Wide Driveway, prime location close to All Amenities. Main Floor features Spacious Living Room & Family Room w/Wood Burning Fireplace. Patio Doors lead to the Private Backyard. Updated Kitchen (2013) & Convenient MAIN FLOOR LAUNDRY. 2nd Level Features 3 Spacious Bedrooms w/Plenty of Natural Light,. Spacious Master has a Cheater Door to Oversized Main Bathroom. Finished Basement great for entertaining. Currently Tenant Occupied and willing to stay, great opportunity for INVESTORS. NEW- Furnace (2018), Roof (2017), Windows/Doors (2013).